The city of Chennai is rich in its culture, tradition and other values. Since past couple of years, this metropolitan city has been under an extensive phase of residential development. In terms of housing, the city is getting modernized with countless residential developments. Nowadays, various fastest public transport services such as Metro Railway, public road transportation, air transport let you reach any desirable within in no time. On the other hand, House of Hiranandani has been a benchmark in real estate industry since past decade. This prestigious realty tycoon has changed the definition of innovative residential developments. In the Southern region realty, this renowned group has developed millions of square feet land with its marvel residential projects. Hiranandani Anchorage is a forthcoming residential project going to develop very soon. 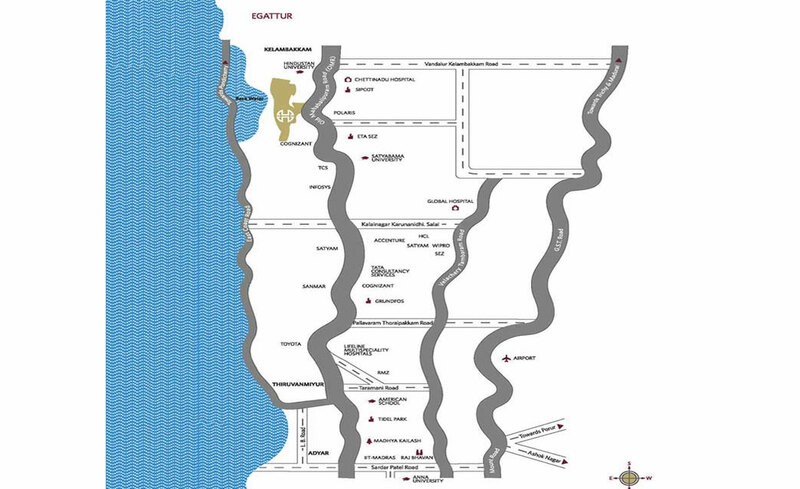 This residential project is strategically located at Egattur OMR. This residential project is directly linked to Rajiv Gandhi Expressway, Old Mahabalipuram Road, Perumbakkum Main Road, E Coast Road, etc. Hiranandani Anchorage Chennai offers 2,3,4.5 and 5 BHK beautifully-crafted homes spanning dissimilar configurations or dimensions. This residential development is encircled of numerous handpicked facilities. ‘Anchorage’ is equipped of spectacular water bodies and beautiful landscaped gardens. This project is a mix of premium residences and numerous unique features. Various essential attributes which are added to be a part of your life such as gymnasium, swimming pool, salon & spa, yoga, aerobics center and jogging tracks, badminton and squash courts, snooker and pool room, table tennis, etc. This project’s locations is attributed with numerous essential social amenities such as advanced healthcare centres, schools & colleges, established base of all essential needs of daily life, social hubs, food & beverages corners, etc. With the establishment of fastest and convenient public transportation, you can commute to any desirable destination within minutes. Inside this enormous and soothing community you will lead a hassle-free life away from city noisy congestion. 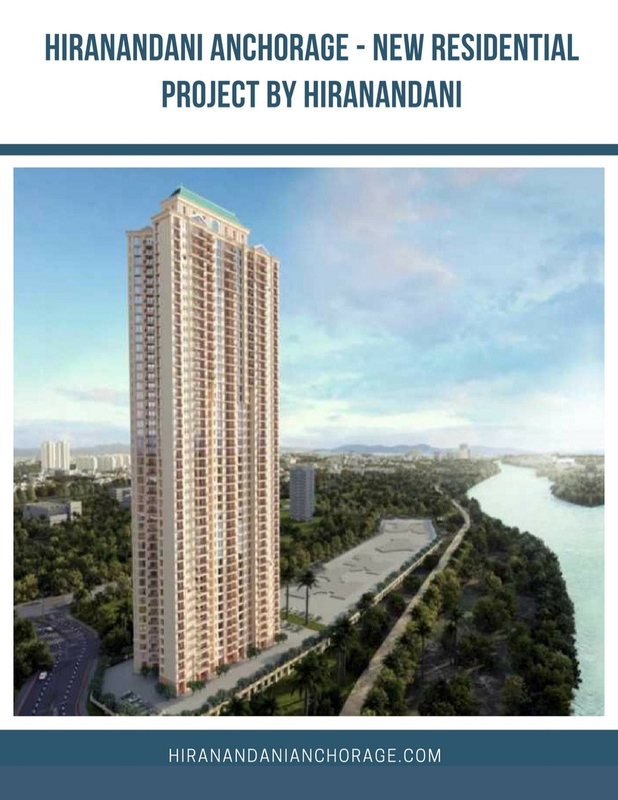 Hiranandani Anchorage Price starts from Rs. 82.23 Lakhs. It is one of the ambitious projects in Chennai, a land which is going to be worth 10 times more than London by 2025. If at all iBook my project on its 45th floor, will it be properly delivered to me. This query arises for several reasons as chennai as of now being muscle twisted by social elenents in all walks of life as much as it can. My observance might be hypothetical or even hype to that matter of discussion . The Best decision to go into the project and deliver it to the right full owner with happiest ambiance to spare the rest of the life lie in the hands of deliverer.